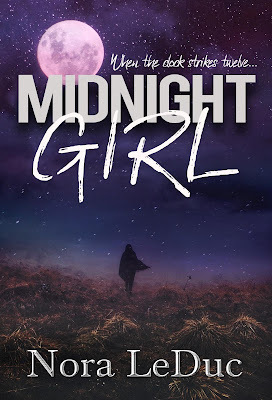 Fabulous and Brunette: Midnight Girl by Nora LeDuc - Book Tour - Book Review - Giveaway - Enter Daily! 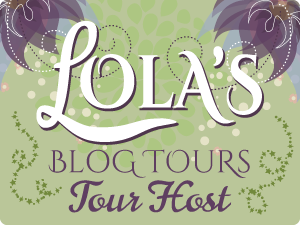 Midnight Girl by Nora LeDuc - Book Tour - Book Review - Giveaway - Enter Daily! Hi lovelies! It gives me great pleasure today to host Nora LeDuc and her new book, “Midnight Girl”! For other stops on her Goddess Fish Promotions Book Tour, please click on the banner above or any of the images in this post. Be sure to make it to the end of this post to enter to win a $25 Amazon or Barnes and Noble Gift Card!! Also, come back daily to interact with Nora and to increase your chances of winning! “Let’s go.” He dug out a four-inch black flashlight from his pocket and turned it on. He threaded his fingers through hers. The simple action felt intimate and personal, but she didn’t have time to react. He was leading her forward. Sticks and twigs crunched beneath their feet. They ducked under branches. The blackness closed around them. She struggled to inhale and exhale calmly. I’m fine. She angled her head upward, seeking the starlight. Suddenly, her shoe caught in a hole. She lost her balance. The hooting of an owl answered. They walked until the trees thinned. An overgrown field lay ahead. A shrill scream sent quivers shooting through her. “Somewhere?” She tightened her lips to keep them from quaking. “I’ll find it.” He paced a few feet into the meadow of shrubs, knee-high gras, and waved her forward. “Found it by the large oak. He pointed to a towering tree bordering the forest. Its limbs seemed to hover just beneath the sky now a mixture of stars and clouds. This book was such an intriguing, suspenseful read with a dash of romance thrown in! Last year, I had previously read and enjoyed Nora’s other book, “Sweet Dreams, Baby,” so I was thrilled to get the chance to read her latest work – which also happens to be part of the same series. “Sweet Dreams, Baby,” is Book Three in the Love & Mystery in the 6-oh-3 Book Series, while this new book, “Midnight Girl,” is the follow-up, Book Four. Nora’s writing only continues to improve with each book! I know she will be an author I will continue to read over the years! I really enjoyed reading this book and solving the case alongside the characters!! I liked the main characters and even the supporting characters! Lisa, Travis, Alan, Mrs. Ferani, Chief Banks, Teagan, Noah, and of course the adorable cat, Jogger – they were all great, well developed, genuine, realistic characters! For the most part, I enjoyed the dynamic love drama between Lisa and Travis and the tension it created. I was curious how it was going to play out. However, at times it got annoying with all the back and forth indecisiveness. Yes, it was somewhat understandable during the times Lisa was unsure if Travis was helping his uncle or there to protect her. However, some of the it got a tad bit irritating. I loved that Lisa was a strong, smart, brave female-lead – those are my favorite type of characters and role-models. I liked the relatable connection Lisa had with Ruthie, the missing teen. It really helped keep the focus on finding Ruthie as a vital plot point as opposed to a background plot point and being overshadowed by Lisa’s stalking. Of course, the story focused on Lisa and the stalker trying to kill her, but adding these extra elements really boosted the story. Usually I am a bit hesitant on books and movies with characters that try to solve major crimes and go after the bad guys when those particular characters have no training and especially so, if they don’t carry a gun or weapon – it’s like they are asking to get hurt or get someone else hurt in the process. Thankfully, this book did not fall into that category, as the author did a good job making these characters realistic and carry protection. I can’t imagine if I were to hunt down an escaped convict that I wouldn’t have some kind of weapon to protect myself in case I found them – or if they found me!!! I also liked how detailed and descriptive the writing was. One of my favorite lines in the books was, “As he sped along, storm clouds smothered the sun and created the feeling of twilight.” (217). That sentence and many others made this book easy to picture the scenes and characters – almost like watching a movie. However, with that said, I did come across a couple confusing spelling errors, but it didn’t detract from the overall story. There are a few exciting twists and turns and unexpected moments that will keep you guessing!!! As previously mentioned, this book is the fourth book in the Love & Mystery in the 6-oh-3 Book Series. I had only read Book Three, “Sweet Dreams, Baby,” in this series before reading this book. This book can absolutely be read as a standalone as each book as mostly its own case. However, there are some references to the previous book and some of the characters seem to overlap. However, since this is an entertaining book series, I would suggest getting in from the beginning and starting with book one, so you don’t miss anything. All in all, I really enjoyed reading this book and would absolutely recommend this book to all mystery and romantic suspense readers! Nora will be awarding a $25 Amazon or B/N GC to a randomly drawn winner via Rafflecopter during the tour. HI Ally, Thank you for having me on your blog and as always for reviewing my book!! Here's wishing you a great 2019. This is amazing!!! I love mysteries!! Good morning, Mya. Were you up late reading? Thanks for stopping by and reading the review. Good morning, James. Looks like all the terrific books you found are keeping you up. Thanks for stopping in and reading the blog post. Hi Chesey, Thanks for reading and posting. Have a good day. Hi Victoria, Nice to see you. Thanks for posting and glad you enjoyed it.